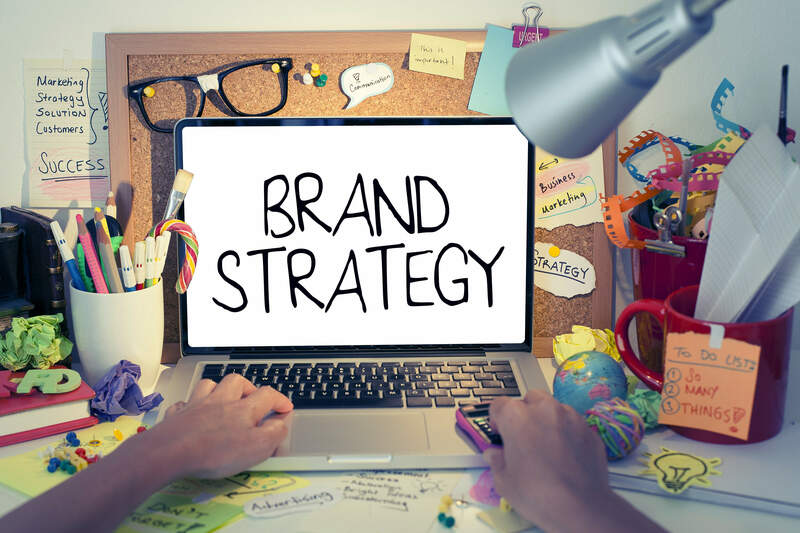 Get Branded – What's the Most Productive BRAND Strategy? In today’s vast ever-changing marketplace, it has become vital to connect any business with its brand, or brand story. Brands that define clarity on their purpose, financially outperform others without. 11 April 2018 - Not only do businesses compete with innovative trends amongst their industry peers and staying abreast with disruptive technologies that may provide them with leading USPs (unique selling points), but they also contest with consumers’ low confidence and high budgetary caution. The answer: define the brand purpose of the business - an ownable point of view which delivers genuine value to consumers. It is also often referred to as the brand story. In short, it is the intention of the business as envisioned by its founders. It is not enough just to make a brand promise of low prices, good products or services - it is no longer what separates one brand from another, it is through having a defining brand purpose. As 2018 run in to the 2nd business quarter, it may be the best time to consider reviewing how successful the brand positioning strategy defines the brand as “ownable” - what is the actionable impact of the brand and how does it influence the lives of its target market. It resides at the juncture of what the brand offers the world and its intended target customer’s deepest cares and desires. Why is it important to businesses? It is proven that “me too” companies struggle and fail vs. business that can connect and engage their target customer with their brand story. Engagement is the new gold currency in branding. This is simply because a brand is the relationship the target market or public have with the brand, including their thoughts and feelings (also often referred to as perception). Their relationship with the brand is what will develop into brand loyalty and later brand insistence, the sweet spot any brand would like to be in. The intention of the brand is the key. Think of Apple or Nike who sells a lifestyle and not a product. Their customers insist on their products and they bought into the brand intention (or story). There are two foundational questions that should be posed to establish the purpose statement. Firstly, what is the brand’s ultimate reason for being? And then, If the brand had to disappear tomorrow, what gap would there be? Working on the purpose statement will support aligning the brand with its brand purpose. A company whose employees can answer this question: “Why are we here?”, will also be the brand that makes stronger connections with consumers in search of solutions to life’s new challenges. The importance of building a brand on a purpose, not simply a promise, is also critical to help employees, or associates, in fact all stakeholders understand why “they are here”. The key is to work on an internal communications strategy that engages employees to understand their reason for being, and then the reason for being at work. It needs to clarify their roles and signify their intrinsic value to the organisation. Get the in-house in order, as this is where true brand reputation is born. Looking at the external brand communication strategy, considering we live in a content-saturated landscape. People don’t have time, they are over stimulated with content from all angles and the window is less than eight seconds to capture and engage them. With this in mind, people care only about the “why”. Why must they trust, try, engage, care, want and share with your brand? Forget about positioning brands around the benefits and ‘what’ it is; focus on this approach, the core is always the “why” – the very reason for the business and brand’s existence. Ensure the why is communicated first in the brand message so that it can resonate with the intended audience. Secondly, unpack the “how” it does what it does – this is what makes the brand different (also often referred to as the business blue print). Other tactics of thinking are to highlight the pain or problem, and connect how the brand offers an answer or solution. Now that the audience can make an emotional connection with why it matters to them, their lives, family, friends or their business, they will be engaged and listen to what exactly it is that will solve, impact or improve themselves or their business. If you enjoyed this article follow Nadia Hearn, brand authority for South Africa’s small business sector, speaker and radio talk show host of #onTheFLIPSIDE on 2oceansvibe Radio – sign-up to follow her blog on www.get-published.co.za, and register for a free copy of her latest book titled: Get Business – your guide on how to identify, engage, get and keep your perfect customer. ABOUT NADIA HEARN – Uplifting and building South Africa 1 Brand at a time! Nadia Hearn, brand authority for South Africa’s small business sector, speak and radio talk show host on 2oceansvibe Radio. Nadia holds an internationally accredited Public Relations Management Diploma from IAC and is an accredited Charted Public Relations Practitioner (CPRP.). She has gained over 15 years’ experience in e-commerce, retail, consumer, hospitality, technology & corporate communications, as well as having obtained qualifications in Business Studies and Marketing. Nadia has a wealth of knowledge, she is also a dynamic entrepreneur and the founder a PR consultancy, Get Published - that specifically focus on supporting small to medium businesses with strategic brand communications and marketing services, combined with business coaching tools. Her passion is to support the local entrepreneur with the correct brand knowledge to grow their business. She has worked across various industries including: IT, Mobile & ICT, SME/Business, Hospitality & Wine, Property, Health Care, Green & Environmental, Entertainment & Tourism, Government, NGO, HR & Training, Fashion & Lifestyle, Motoring, Beverage, FMCG, Packaging, Retail, Beauty, E-Commerce, Sport, Security and Construction. Nadia’s business acumen, wealth of knowledge & extensive PR experience, social media, brand & crisis communications work are greatly valued by her clients and will be equally or more valuable for any business. Get Published is a full-service brand communications consultancy that creates news, builds brand awareness and understands how to grab attention to get our clients business results. They believe that most successful PR and brand campaigns are those executed using an integrated approach, together with a well-planned and researched communications strategy. Get Published offers an all-inclusive strategic and creative marketing communications service that allow them to closely align with the client’s business objectives, which enable them to accurately recommend solutions that support the client’s marketing goals and business challenges. Get-Published is a group of specialists that work together to define and carry out successful and impactful brand marketing campaigns that are innovative and cost effective. They base their success on developing clear messages to ensure that they reach the correct brand audiences, at the right time, with the right impact, to help grow clients’ businesses.